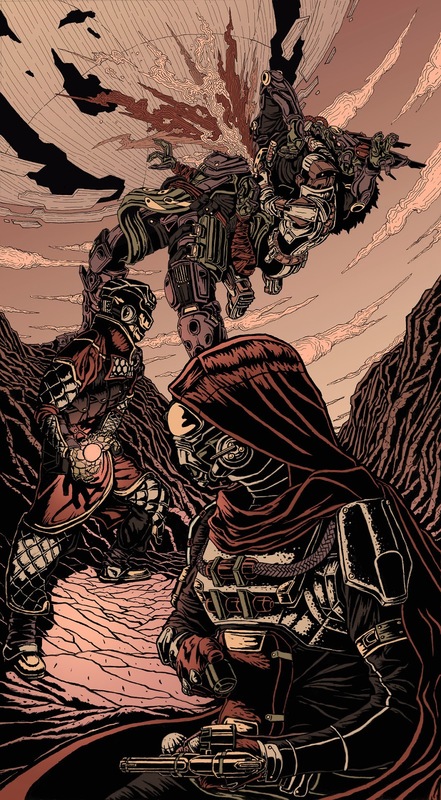 Here's an awesome piece of Destiny fan art by designer Dalton Pencarinha. Check out more works at their Tumblr. Below is the an example of line art design work that goes into the development of this kind of work. 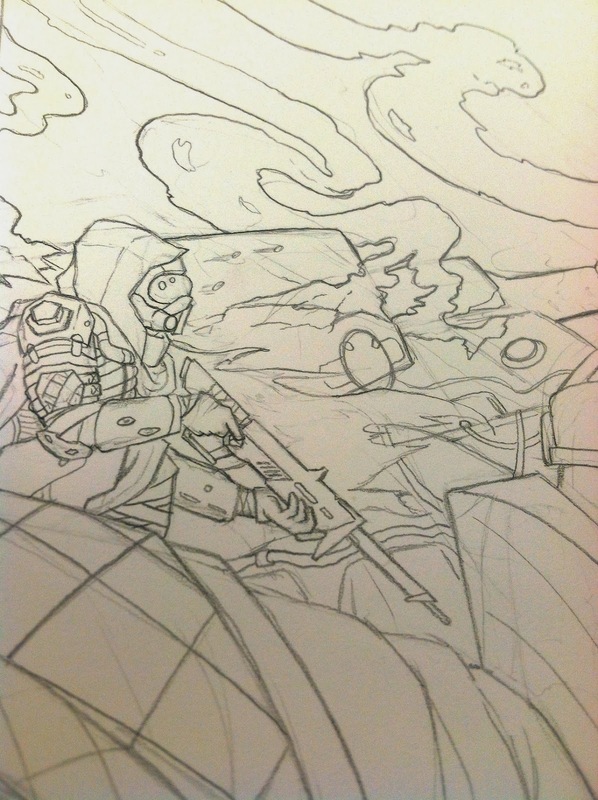 Obviously it's from a different Destiny piece!